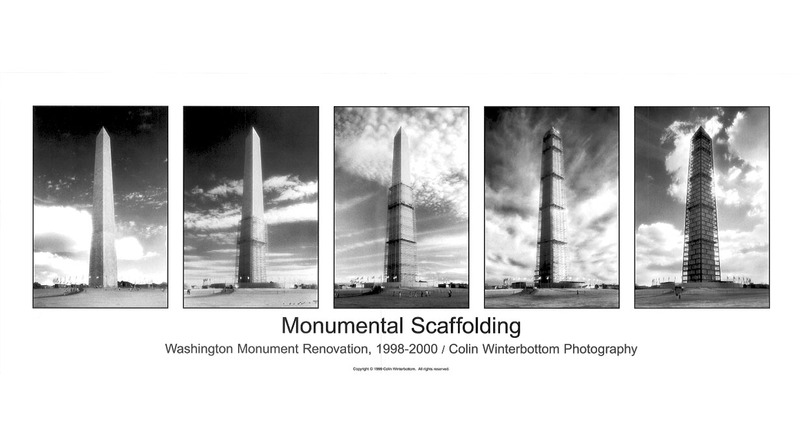 When the Washington Monument needed major restoration to combat years of weathering and aging, a public-private partnership of the U.S. Park Service and Target Stores commissioned us to design scaffolding that would be attractive on the National Mall. 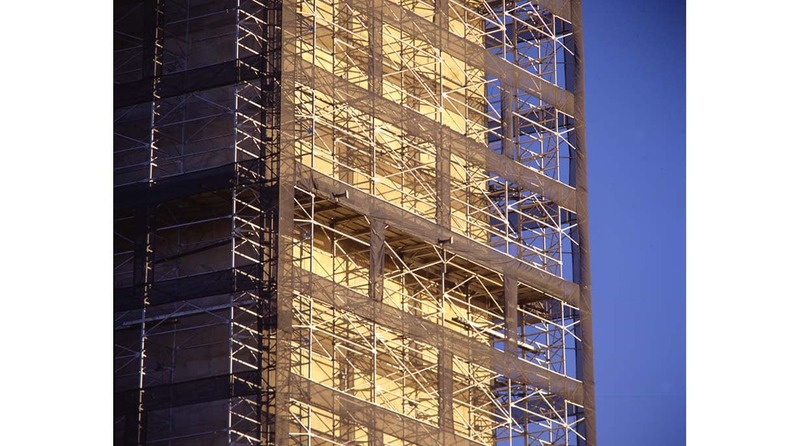 Our scaffolding followed the profile of the monument and was embellished with blue translucent architectural mesh fabric. 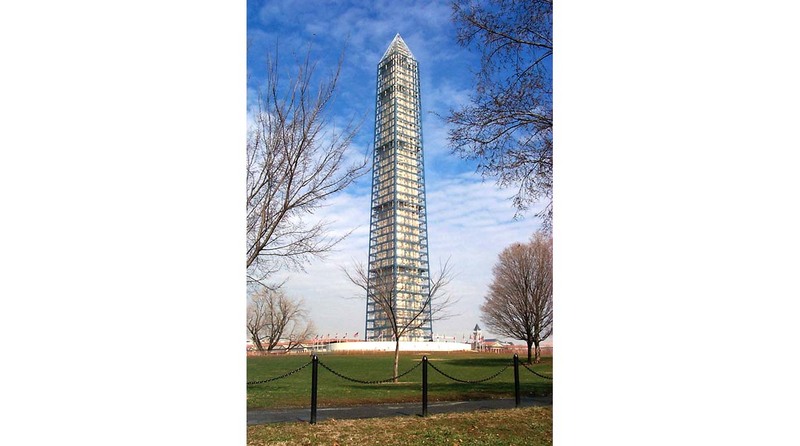 The pattern of the mesh reflected at an exaggerated scale the running bond pattern of the Monument’s masonry façade, thus telling the story of what was being repaired. 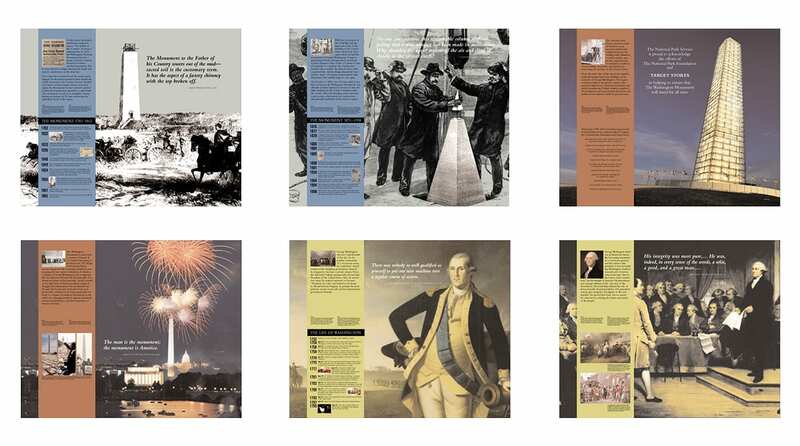 At several observation levels inside the Monument, we developed exhibits that tell the story of the Monument’s namesake, President George Washington. 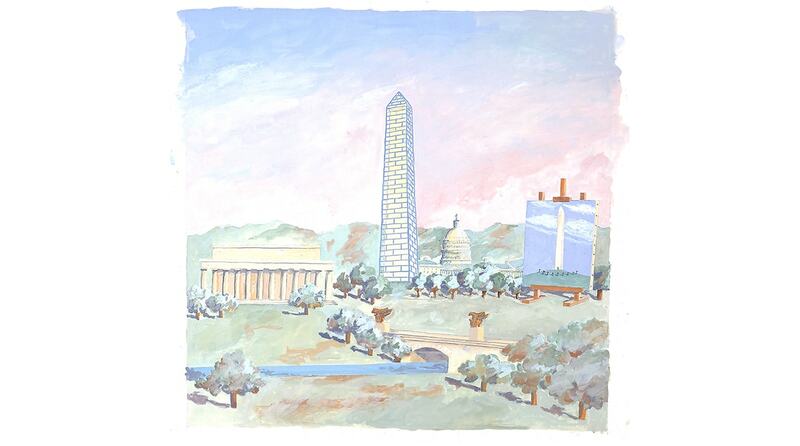 We participated in educational outreach for children and adults through public television programs, publications and presentations, that featured the restoration, the history of monuments and the life and deeds of George Washington. 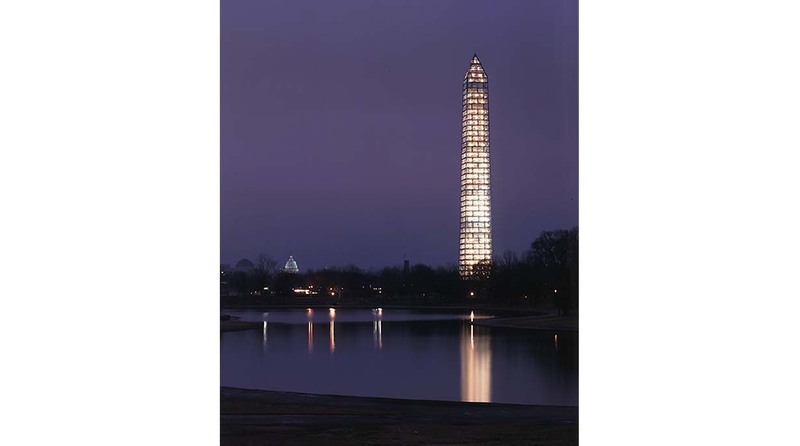 At the millennial celebration in 2000, the Monument was featured in a dramatic fireworks display.